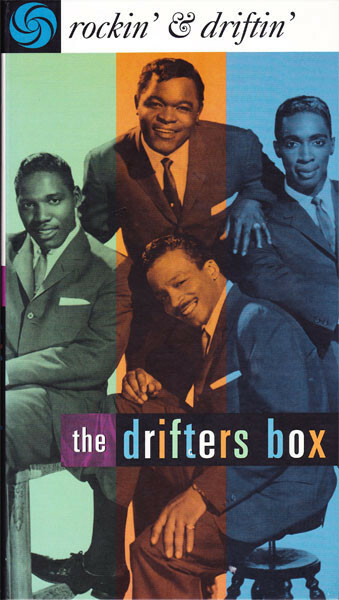 THE DRIFTERS: ROCKIN’ & DRIFTIN’: THE DRIFTERS BOX: 1996: 5 STARS OUT OF 5 STARS: 3 CD’S: The Drifters are probably the most unstable group in pop/rock history as far as member changes during their history. They have had 60 different vocalists. You do need a scorecard to keep track of who is who and when they were with the group. The Drifters had three Golden Ages- the early 1950’s, 1960’s and early 1970’s. Their two greatest vocalists were Clyde McPhatter in the early 50’s and later Ben E. King. This box is pretty strong throughout with of course the last half of the last disc being the weakest. All the hits are here- they had 36 hits on the Billboard Hot 100 from 1955-66. A big bonus on this box set is also the additions of seven Clyde McPhatter solo songs and five Ben E. King solo songs [including Spanish Harlem and Stand By Me his most famous songs} The Drifters had one #1 hit- Save The Last Dance For Me, some of their other hits that became standards- There Goes My Baby, This Magic Moment, Up On The Roof, On Broadway and Under The Boardwalk. A casual fan would probably be happy with a one disc greatest hits but if you want to dig deeper- this box set is well worth it.